Nowadays, almost every business sphere needs to settle down after struggling and competing against their opponents. With the technological advancement, different business functional areas have become easy to obtain. 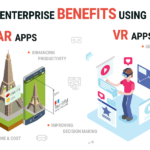 Along with the efficient workers, mobile app development has opened a new door for the several business industries to accomplish a better way. This latest tech solution is the biggest opportunity to reach the global clients and reap more benefits and profits for their business. 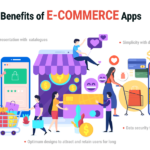 Hence, in order to strengthen their brands and enhance their sales, different business industries need to connect with a top mobile app development company. 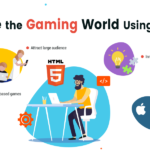 Games & Entertainment – If an industry needs more client engagement, providing an entertaining experience to the customers, gaming apps are the greatest option to target the global platform. People get attracted with these lucrative fun-filled apps that contain trendy news about the celebs, exciting sports, puzzle, etc. Education – Learning has become easier now with the use of education apps. These are not just affordable but also convenient for the people who have immense interest in studies but cannot go to an institute for taking classes. Even students can avail e-learning to enhance their knowledge. Transportation – Transportation industry has experienced an immense success using cross-platform mobile development. Now, their client services, manpower handling and managing different other business functions have become more convenient. Mobile apps are able to operate their transport services and help improve business capacity also. Travel & Tourism – Travel industry is enjoying an unparalleled success using mobile applications. Now it’s easier to book a hotel, search popular tourist places, book flight, bus or train tickets, etc. in a pocket-friendly way. Hence, the tourism apps have become highly beneficial for the travelers and travel companies. 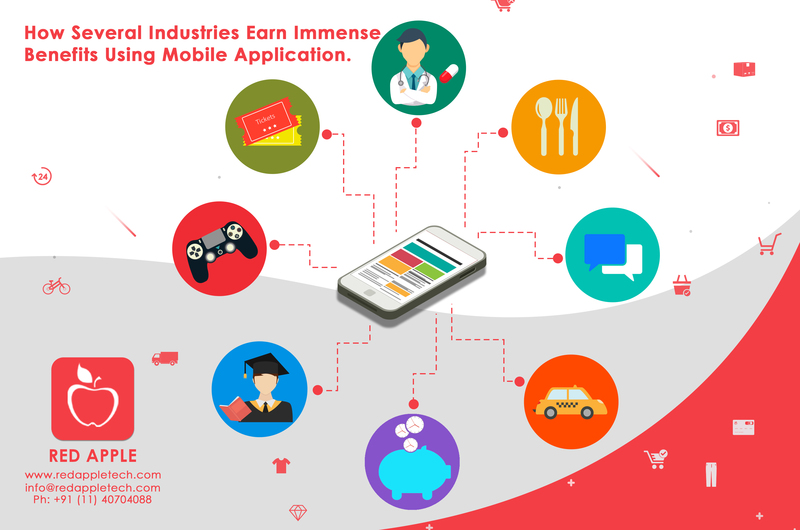 Manufacturing – Manufacturing industry has also taken a successful step with the use of app solutions. 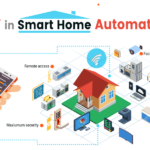 Presently, it has become easier to manage their manpower with automated technology; hence, the companies are making more improved business strategies. These applications have made their productivity growth more feasible, offering better resource and outcomes. Banking & Finance – Banking or Finance sector is also experiencing an unmatched success with the use of mobile apps. This convenient solution helps these sectors get connected with more customer a better way, offering better financial schemes, offers, and services. 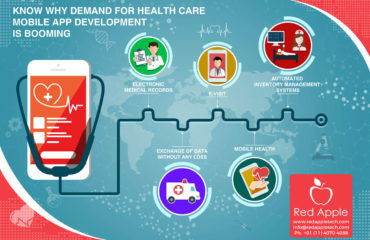 Pharmaceutical – With the blessings of mobile development, the pharmaceutical industry is now more efficient in delivering better patient care, sharing potent patient data, opting for the paperless functionalities. Now all the activities are done with more prominence and personalized solutions. 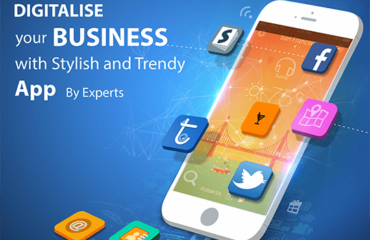 So, these are a few industries discussed above, which are gaining peerless advantages in their business functions, with the use of cross-platform mobile development. 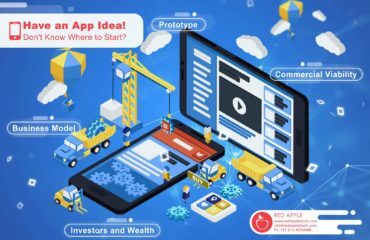 At Red Apple Technologies, we make the most user-friendly and customized apps to meet your business needs, which list us as a top mobile app development company. Got a Unique App Idea! Don’t Know Where to Start? 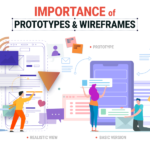 The Right Protocols for a Mobile App Development Company to Create That Dream App.